Canada’s premium guitar boutique, since 1993. We love guitars, bass, amplifiers and accessories and it is our pleasure to assist you in your quest for your perfect tone. TGS is an authorized dealer of: Paul Reed Smith,PRS Private Stock, Taylor, Martin, PRS Amplification, Friedman, Bad Cat, Xotic FX, Seagull, Art & Lutherie, Hofner, Ken Smith Bass, Mesa Boogie Engineering, Simon & Patrick, La Patrie, JHS pedals, Wampler, Eventide, ZVEX, Blackstar and Pedaltrain. TGS is very interactive online, so feel free to send us a request, ask a question or interact with us on your favorite social media; we will get back to you quickly with the most relevant information possible. The Guitar Shop is a higher end of the market boutique. We stock a lot of the things you see in the magazines, but not at your usual shop. 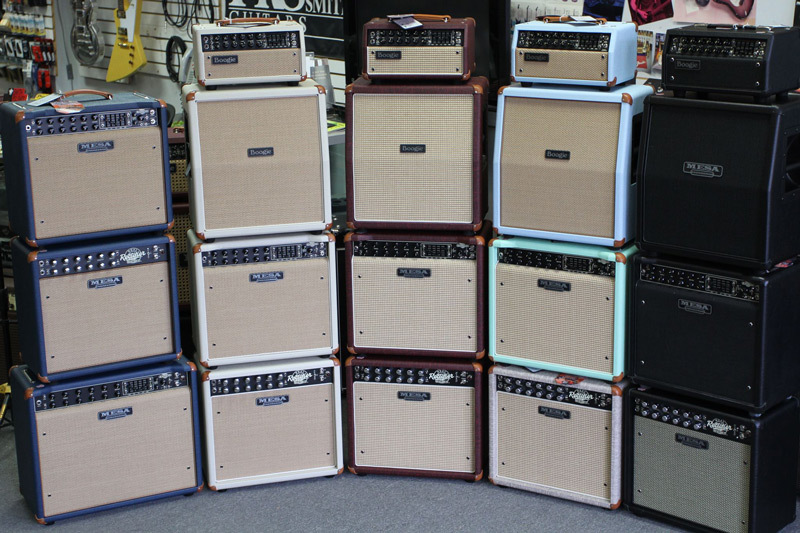 We are THE PLACE to shop for PRS and Mesa Boogie (especially Boogie Custom Design). The three of us that work here all play Boogie amps exclusively.